10 Steps on How to Handle Angry Customers. A Must Read! Angry customers are a fact of life. No business will have 100%, happy customers. According to Colin Shaw, there are several statistics that business owners should be made aware of, for example, the main reason many customers leave a business to go to a competitor is not due to price, but due to poor customer service. Another statistic reads that for every customer complaint, 26 others did not make their voices heard. Those statistics and others should be enough to make business owners and employees sit back and take notice. When dealing with angry customers, learning how to defuse a tense situation is a crucial skill to possess. It is easy for an employee to get frustrated when they are confronted with an angry person. Moreover, if the employee doesn’t know how to react in such situations, the wrong response can easily make the situation worse. The employee safety procedure checklist for dealing with angry people will help mitigate the already tense situation. Listen – first and foremost, you should be a listening ear to the angry customers. Listen to what they have to say and figure out the root problem. Remain calm – yelling will not help anyone in the situation. If anything, it will escalate the situation further. Acknowledge the problem – the problem should always be recognized. You should assume the customer has a reason to be angry. At this point, you need to find out why. Reiterate – repeat the problem to the customer. Not only does it show the client you were listening to them, but it will help you realize the problem and find the solution. Apologize – apologize to the customer about the issue and let them know you are working toward a solution. Empathize – put yourself in the customer’s shoes. How would you feel if you were experiencing the same issue? How would you want it to be handled? Own the issue – no matter the cause of the issue, you are now trying to solve the problem. Now you own it. It is now your job to find a solution to the problem of your customer came. Patience – be patient with the client. Considering the circumstances, it may not always be easy. Furthermore, remember the customer may be a little flustered when trying to express the root of the problem. Do not take it personally – you should never take an angry customer personally. Realize that the client may be upset about a product or maybe a policy. In these cases, understand that IT IS NOT YOUR FAULT. Find a solution – you should always find a solution to the problem. Perhaps the customer needs a refund after having an issue with service or product. Maybe you and the client reach a compromise about payment. 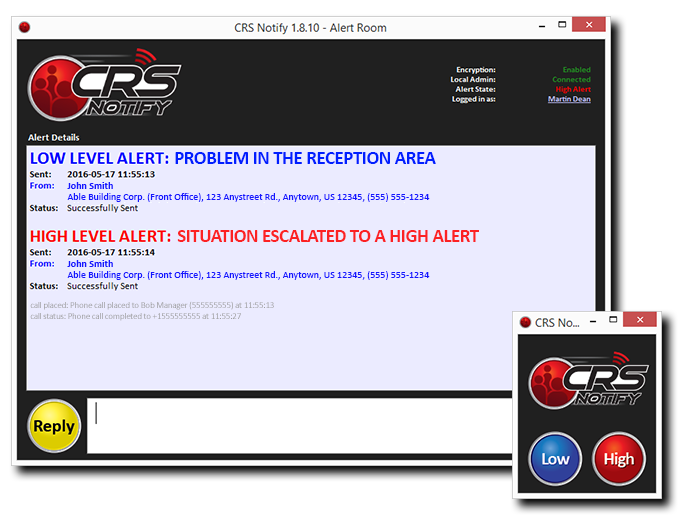 If all else fails, a panic button from CRS Notify can help a third party get involved, whether it is a colleague or emergency services. What are the Pros to Having Panic Alarms? 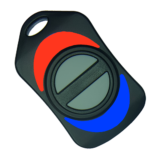 A panic alarm is discreet and easy to operate. Most technology-driven panic alarms have notifications that let you know that the alert went out to responders, so you are not wondering. These panic alarms are easy to install and are not very expensive. A computer-based panic alarm is much more reliable than traditional panic alarms. Furthermore, responders are notified within seconds that there is a crisis in your location. Alert notifications are sent out via, text, email, phone call, computer, E911 and sometimes phone apps. Not all mass notification programs offer every feature. However, most programs have a collection of these functions that they provide with their system. There is a growing number of technology-driven panic alarms on the market to research before making a decision. Having a panic alarm system that fits your security needs gives your employees a sense of security. That feeling of safety increases productivity in the workplace. I have had several companies tell me that they feel better just knowing the panic alarm is there. Though, they hope they never have to use the panic alarm. In conclusion, there are several different techniques to use when working with the angry customers, ranging from mutually working toward a solution to involving a third party. Whatever the case may be finding a quick and easy solution is beneficial to all concerned. Still Unsure About Panic Alarms? Contact us for more information to make the best decision for your panic button system. What to do if my employees are scared? A Panic Alarm can HELP! I don’t feel safe at work! What can I do to feel safe in the Workplace?